This section focuses on getting IPE Help and the IPE User Guide. The Help menu within IPE provides access to the online user’s guide and information about the IPE. The MPLAB® IPE User's Guide is also available in pdf. 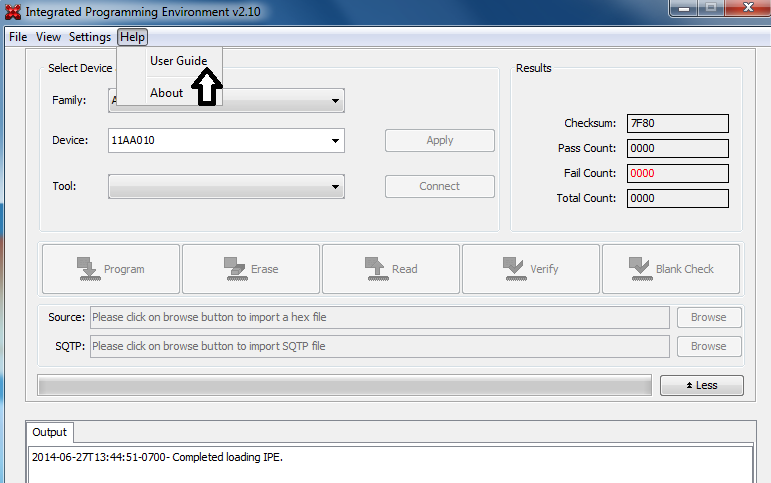 To open the user guide within the IPE, select Help from the menu, then select User Guide, as shown below. 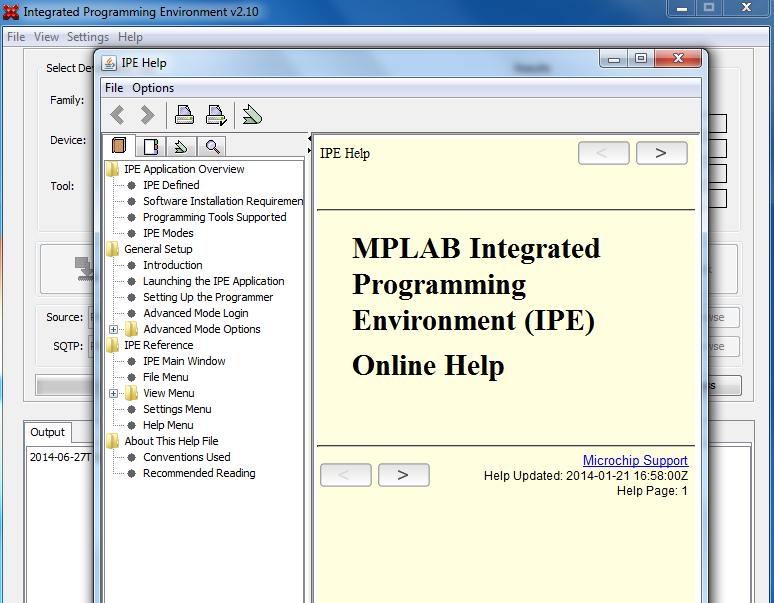 A separate IPE Help dialog box appears. You can now browse the topics on the left to open a list of available help files. See figure below.